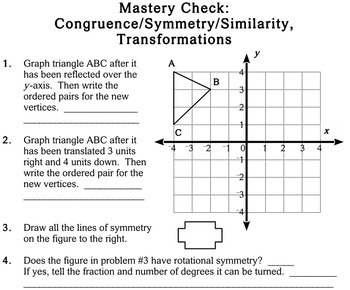 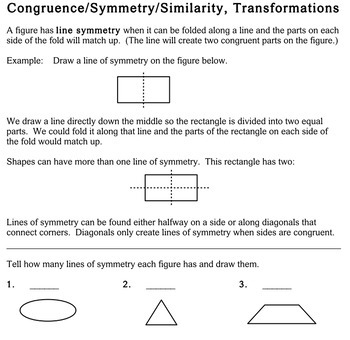 A set of 14 worksheets and a quiz on geometric concepts such as congruence, similarity, symmetry, and transformations, designed for fifth grade level. 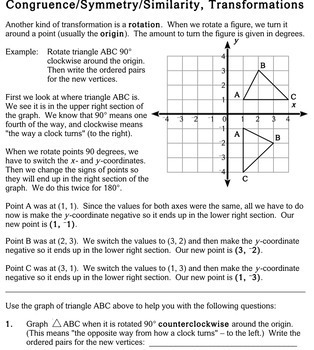 Teaches both line and rotational symmetry (and to identify the fraction and degrees of a turn a figure can be rotated), and transformations are taught with a coordinate graph (including how to find the ordered pairs for the new vertices). 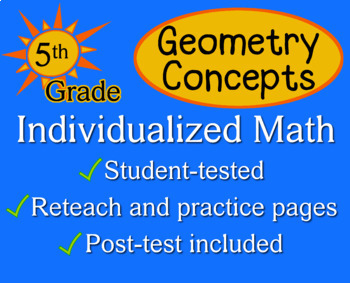 I created this to use with my tutoring students; if they've forgotten these concepts or never learned them, they are solid on them by the time they finish these worksheets!